To start with, let’s talk budget. This is where it all started for us. There are many different ways to budget, but the one I’ve seen the most success with is Dave Ramsay’s Financial Peace University. We have never taken the class, but we went through the book Financial Peace Planner. I found it at my parent’s house and told them I was taking it. We went through it quickly because we knew things had to change. I couldn’t go to work because everything I would have made would have gone to daycare for Arabella. This was our motivation. I recommend you find a Financial Peace Class ultimately because it will provide the accountability that you need to stay true to your goals. We have had so many friends pay off thousands of dollars of debt and live debt free. We made our budget and laughed. It looked like we wouldn’t be able to survive. I started praying – big time. I revisited getting a job. That just didn’t compute. I prayed some more. One day I was watching TV and came across TLC’s Extreme Couponing. I thought to myself, “I can do that!” I know there has been lots of controversy about the show, but this was truly my inspiration for getting our grocery budget under $230 a month for a family of 3. That was everything household except toilet paper. 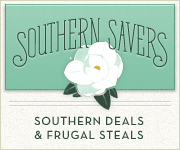 Sites I love for couponing are The Krazy Coupon Lady and Southern Savers. You can learn the basics of how coupons work, how to make your lists and even how to shop specific stores. I will not try to explain all that here. It’s too comprehensive, but I encourage you to take a look and dive in. There are even youtube videos you can watch for step by step and actual shopping trips. You can look at one of my first successful shopping trips here. Despite what you might think, I didn’t buy a lot of stuff I didn’t need. John and I actually lost weight during this time too, so don’t worry that you will have to eat a lot of unhealthy food either. I spent about 10 hours a week prepping and shopping, mostly at night after Arabella was in bed. It was like a part time job for me, and it helped me get our budget down low enough that we didn’t need extra income. While doing all this, I stumbled upon Grocery University. It’s a downloadable system that teaches you couponing, budgeting and meal planning. It’s very comprehensive even if you don’t want to use coupons. I’m usually more about finding free sites for learning, but this was well worth the $25 I spent. It also enabled me to continue to keep us on a budget when Camden was born, and I no longer had the time or energy to coupon. I am planning on couponing again soon, so hopefully I’ll have some more to share on that soon. I have learned a lot about cooking from scratch instead of buying box mixes, canned soups and beans and condiments. I have mentioned Budget Bytes before, but I really learned a lot from Beth about cooking dried beans, freezing food for future meals and just basic budget tips for making really good food. She breaks down the recipe by cost per recipe and per serving. There are so many great bloggers out there sharing their knowledge. Pinterest is a great place to find more meal planning and cooking ideas. I have a meal planning and budgeting board if you’re looking for ideas. In addition to all these great online resources, we’ve also learned how to make a lot of household cleaning products. It may seem like a small piece, but it’s money that is freed up from our monthly budget consistently. We will admit that we had some bumps in the road when it came to making some of the products from blogs like ours, but we’ve come up with a great list of recipes that we stand behind. Currently we make laundry detergent, all purpose cleaner, eye make up remover, wood furniture polish, floor cleaners and our very own dishwasher tablets. We’ve gone through phases where we use cloth napkins, but I would really like to go all out on this and make my own kitchen towels to use in place of paper towels. At first, it seemed scary and time consuming to do this, but now it’s second nature for us to whip up a batch of laundry or dishwasher detergent. We have saved so much money doing this. I hope these ideas help to inspire you! I would love to hear if you have something to share about frugal living too.